Originally broadcast on television by Fox during the 2012-2013 television season. Bonus feature: deleted scenes for select episodes. Disc one. Pilot ; Hiring and firing ; In the club ; Halloween ; Danny Castellano is my gynecologist ; Thanksgiving ; Teen patient ; Two to one -- Disc 2. Josh and Mindy's Christmas party ; Mindy's brother ; Bunk bed ; Hooking up is hard ; Harry & Sally ; Harry & Mindy ; Mindy's minute ; The one that got away -- Disc three. Mindy's birthday ; Danny's friend ; My cool Christian boyfriend ; Pretty man ; Santa Fe ; Triathlon ; Frat party ; Take me with you. 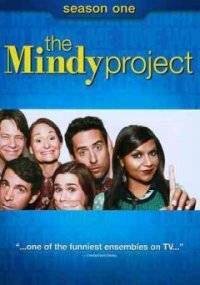 Cast: Mindy Kaling, Chris Messina, Ed Weeks, Zoe Jarman, Amanda Setton, Ike Barinholtz, Anna Camp. Meet Mindy, a single OB/GYN who wants her life to be like a romantic comedy but just can't find the right leading man. As she attempts to balance her unpredictable workplace with some truly offbeat dating situations, Mindy soon discovers that the prescription for happiness is filled with comical side effects. Contains all 24 episodes from the first season. DVD, NTSC region 1, anamorphic widescreen (1.78:1) presentation; Dolby Digital 5.1 or Dolby Digital 2.0. Universal City, CA : Universal Studios Home Entertainment, c2013. Description: 3 videodiscs (approximately 552 min.) : sound, color ; 4 3/4 in.